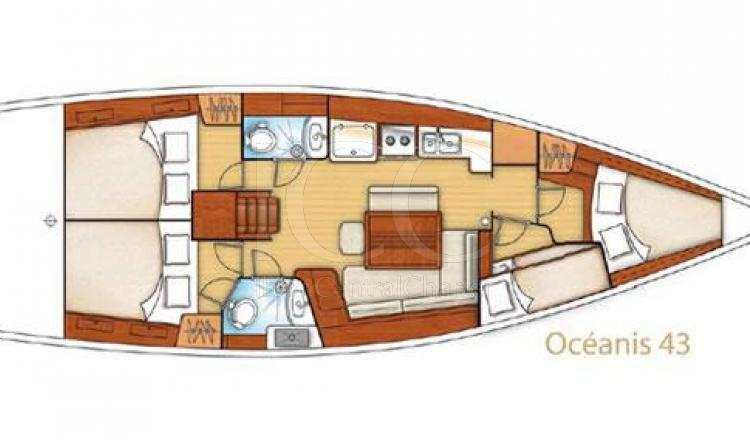 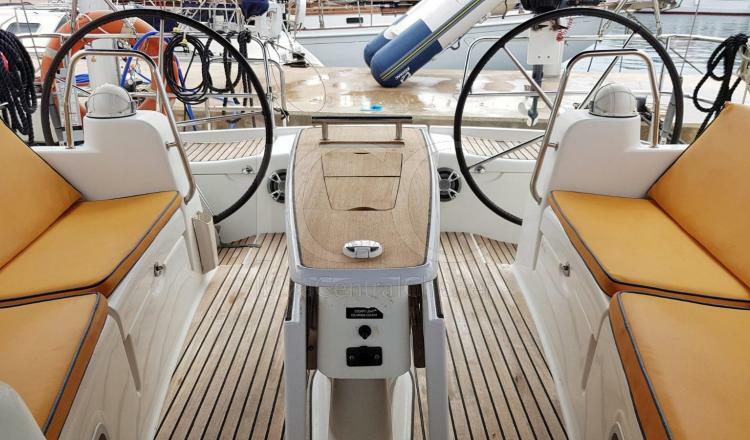 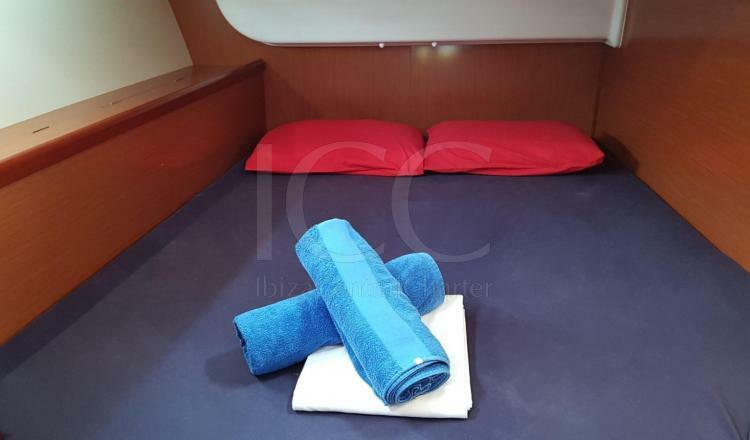 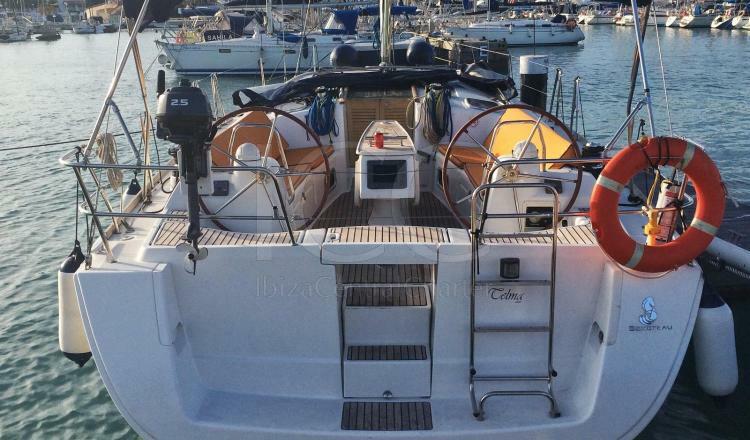 Oceanis 43 has a capacity for up to 9 passengers on charter day and 8 guests during the night. 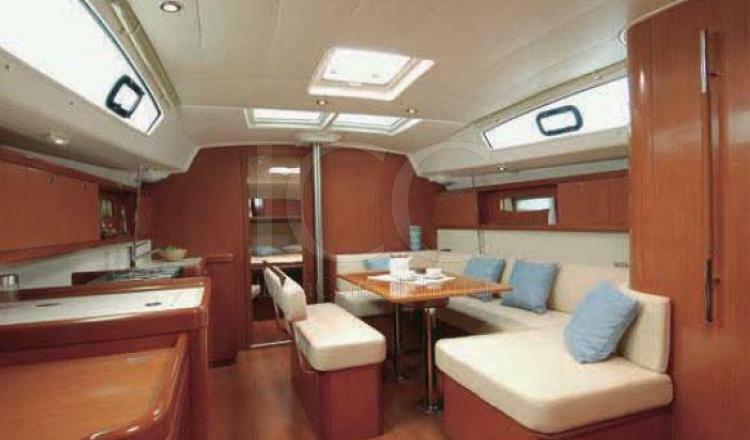 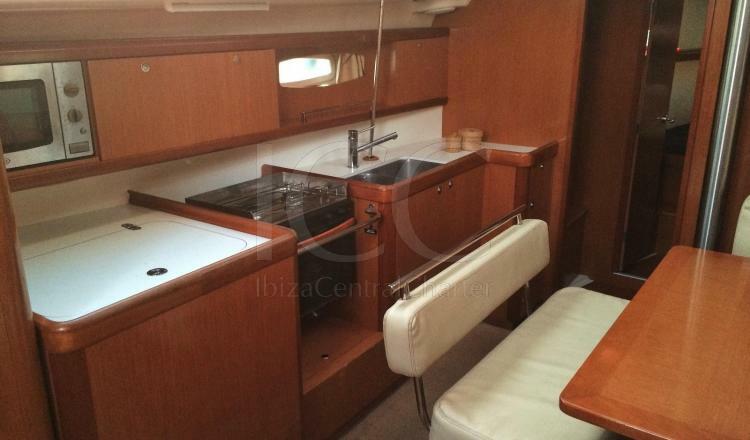 This sailboat has 4 cabins that are 3 doubles and a bunk cabin. 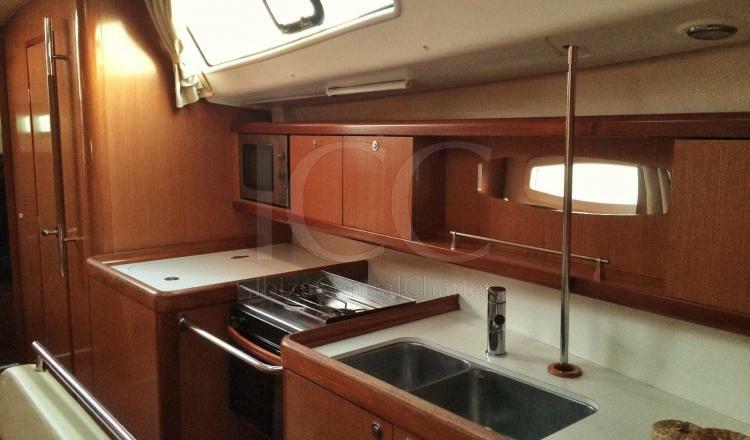 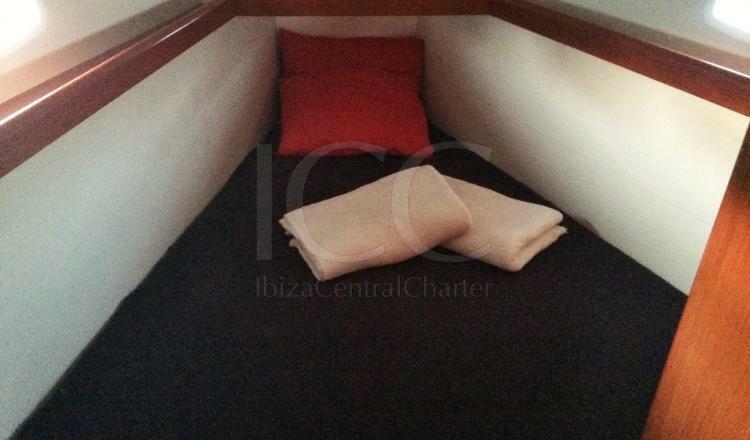 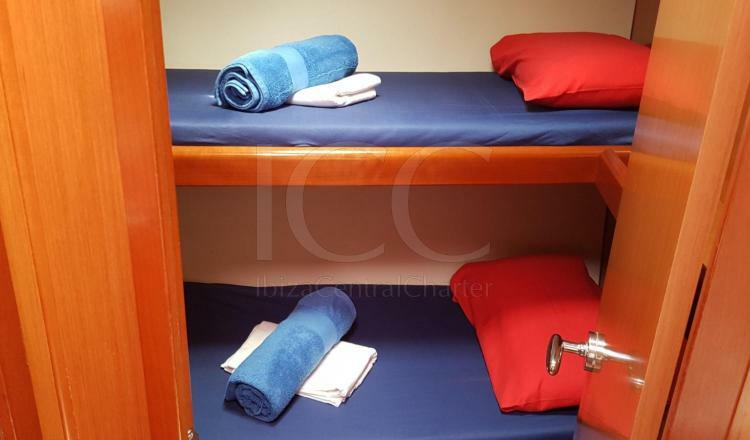 In addition the interior area is fully equipped with kitchen, oven, refrigerator, utensils and coffee maker. 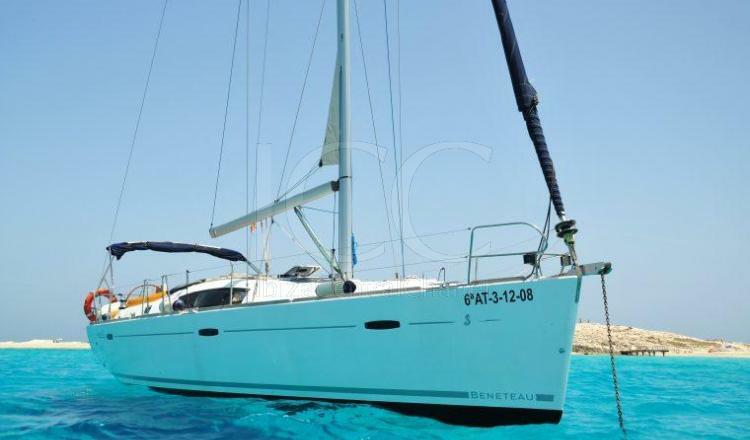 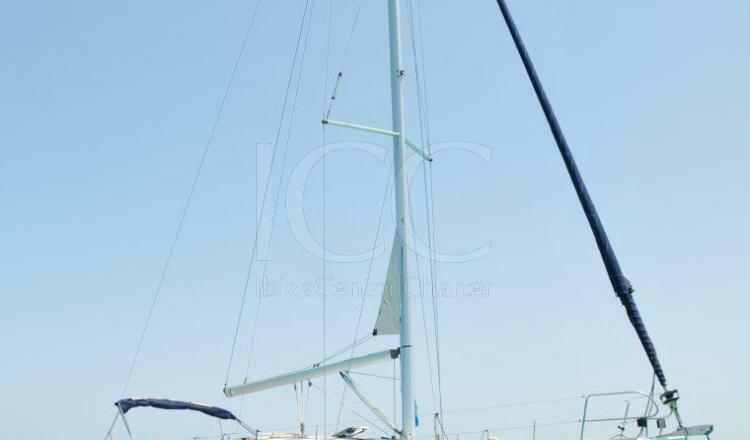 This boat is available with skipper and can be rented for weeks but it is also possible to rent it on weekends or charteres by day.